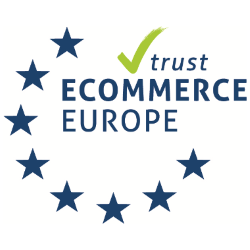 Wir setzen den Tisch seit Jahren in unseren Restaurants ein. 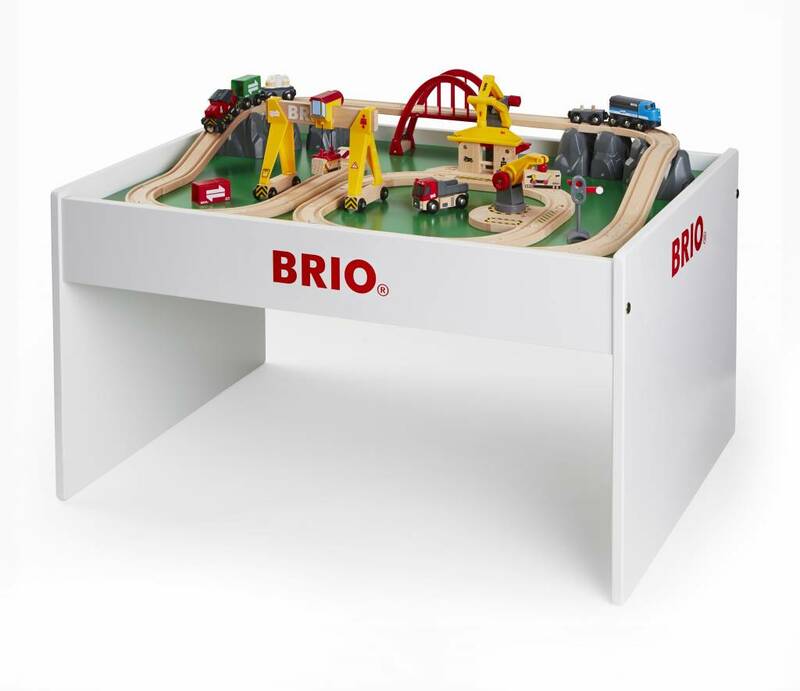 3) the rolling elements: the famous Brio trains, waggons, lorry, etc. 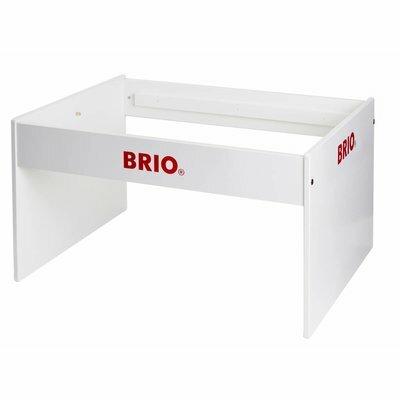 With this table your kids corner or waiting room will always be ready. 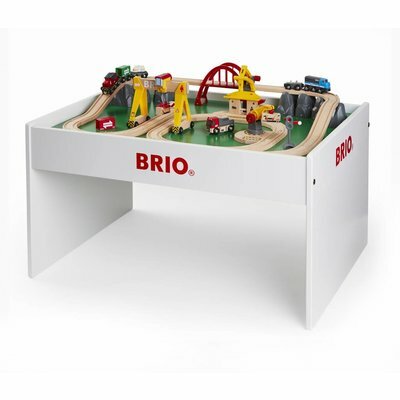 Due to the rim, trains or other elements cannot fall from this brio play table. Consequently your kids corner will always look neat and tidy. 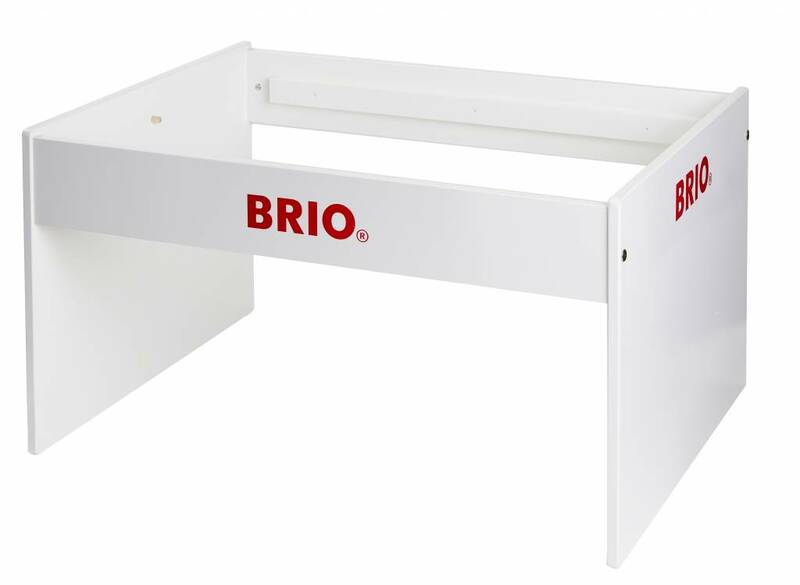 Furthermore, the rails and other elements are fixed to the base plate of the table and this also guarantees that the kids corner is automatically in good shape and order. 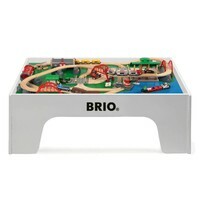 This Brio play table and train set is furnished with many interesting play opportinities. Kids find, among other things, a railway heading through the mountains which implies that the Brio trains can ride on different altitudes. 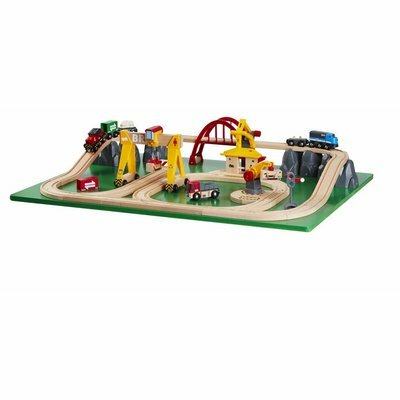 Additionally the table set is equipped with a railway station, a crane, a terminal, a bridge, a signal-post and a moveable crane to load and unload cargo. 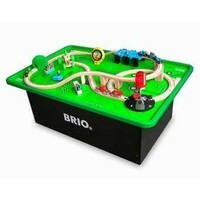 Children can load the cargo elements from the trains onto the lorry and vice versa.